Scholars, artists, educators and others interested in improving the gender balance of Wikipedia entries on women and the arts are invited to participate in an edit-a-thon on Friday, March 29, 10 a.m. to 5 p.m. EDT, in the Mann Assembly Room 103 Paterno Library on the Penn State University Park campus, or join via Zoom at https://psu.zoom.us/j/273075631 or by phone 646-876-9923. Meeting ID: 273 075 631. 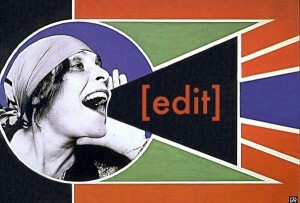 The Penn State Graduate Art Education Association, Libraries, and College of Arts and Architecture is hosting this satellite location as part of Art+Feminism’s edit-a-thon effort taking place throughout the world. 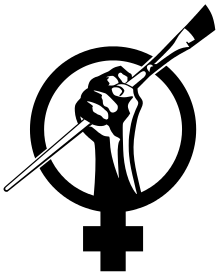 Launched in 2014, Art+Feminism is a campaign to improve coverage of women and the arts on Wikipedia, and to encourage female editorship. In a 2011 survey, the Wikimedia Foundation, which operates Wikipedia, found that less than 10 percent of its contributors identify as female. During Art+Feminism’s inaugural edit-a-thon in February 2014, approximately 600 participants contributed to the creation of 101 new articles while improving at least 90 articles. The event was covered in New York Magazine, ArtNews and numerous other media venues. Other satellite edit-a-thons are scheduled to take place at universities and museums across the country and internationally, including locations in Amsterdam, Paris, Moscow, Brussels and Berlin. 2015: The first event at Penn State was held at the Judy Chicago Art Education Collection & Feminist Resource Suite, 207 Arts Cottage. 2015 ART+FEMINISM event flyer here. 2016: The second event was also held at the Judy Chicago Art Education Collection & Feminist Resource Suite, 207 Arts Cottage, and included guest Susan Hill, a principle artist with Judy Chicago in developing and creating the monumental art work, The Dinner Party (1975-79). Susan contributed the idea of needlework / embroidered runners, became Head of Needlework for the project, training and collaborating with scores of workers who helped design and produce each hand-worked textile in the studio. Hill co-authored with Chicago, “Embroidering our Heritage: The Needlework of The Dinner Party” (1980, Doubleday), and is narrator of Johanna Demetrakas’ documentary film, Right Out of History (1980, Johanna Demetrakas, 75 min). 2017: The annual event grew with participation of the Penn State Libraries and was held in Special Collections in which the Judy Chicago Art Education Collection from the archives was available for primary source research for Wikipedia entries. We created at least 7 new pages, made 91 edits, and added 18,000 bytes to Wikipedia including an entry on Mary Godfrey, an artist and art educator who became the first African-American faculty member at Penn State University. She was hired in 1957 and served as an assistant professor of art education until her retirement in 1979. Penn State holds the Mary Godfrey archives in Special Collections. 2018. Held at Penn State Libraries on the University Park campus, a link here to the Daily Collegian describes the event and speakers. On a worldwide scope, 3200 people at 250+ events created or improved at least 17,000 articles in 2018. Location: Mann Assembly Room, 103 Paterno Library, Penn State, University Park, PA 16802. Join us in person or via Zoom at https://psu.zoom.us/j/273075631. Or by phone 646-876-9923. Meeting ID: 273 075 631.